The General Machinist will operate horizontal and vertical lathes, milling and grinding machines, VTL's, Jig Bores, Bridgeport’s, rubber grinding, Prototrack, drill presses and other special shop equipment for repair of parts. Work from process travelers, blueprints, parts drawings, manuals, specifications and verbal directions to determine proper dimensions and tolerances of finished part sequence of operation, and setup requirements. Measure, mark, and scribe dimensions and reference points on material. Perform all other similar or related duties as required and/or directed within own or other work areas. High School Diploma, GED equivalency and or Trade School graduate. Strong machining background and the ability to effectively resolve problems. 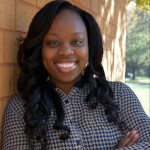 Evon Gadsden is a technical recruiter at HKA Enterprises. Evon's advice to job seekers is to "never be late for an interview!" Her preferred method of contact is email.